Preventable injuries are the third leading cause of death in America. As the nation's leading safety advocate, we engage businesses, government agencies, elected officials and the public to spotlight and address the main causes of preventable injuries and death every day. Please take a few minutes to learn about our Strategic Initiatives to save lives at work, in homes and communities, and on the roads. The National Safety Council staff is proud of the successes we achieved in Fiscal Year 2018. Our annual report outlines our expanding advocacy, business and philanthropic efforts. NSC is a nonprofit organization, and every dollar raised supports our mission of eliminating preventable deaths. Support from individuals, corporations and foundations is essential in tackling the most critical safety issues. As a board member, we hope you will partner with us as a philanthropy advocate, expanding our reach and helping us find solutions to keep each other safe. Support NSC with a philanthropic investment to the mission initiative that is most meaningful to you. Connect NSC with your network to discuss a potential partnership. 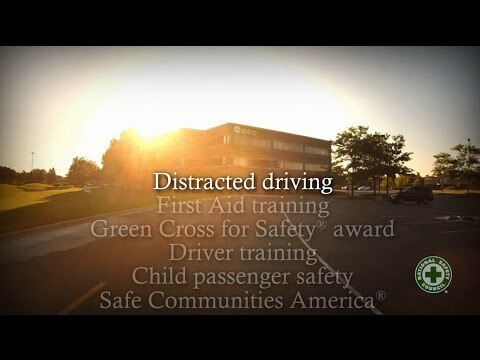 Sponsor and attend the Green Cross for Safety® Awards Celebration honoring the best and brightest in safety. Join the Green Cross for Safety Awards Celebration Host Committee. Inspire your friends, families and colleagues to learn more about how they can make a difference by planning a fundraiser to benefit NSC. To learn more, please email Jennifer Steffus at [email protected], call (630) 775-2050 or visit nsc.org/WhyGive. Board of Directors serve a minimum of one year, and meet with NSC at least twice a year to help monitor current operations, evaluate the council’s mission and plan for the future. Nominations are due April 29. Click here to access the Board of Directors Nomination Form. Delegate Committee members meet at least twice annually to actively provide counsel to National Safety Council on safety and health issues and strategies. Nominations are due April 29. Click here to access the Delegates Nomination Form. Director expectations/commitments can be found here. Welcome to the global center of excellence for environment, health and safety.